Mornings around our house are tough. Trying to get three kids dressed, fed, and on the bus by 7:30 means that I just don’t get time to take care of myself until after they have left for the day. 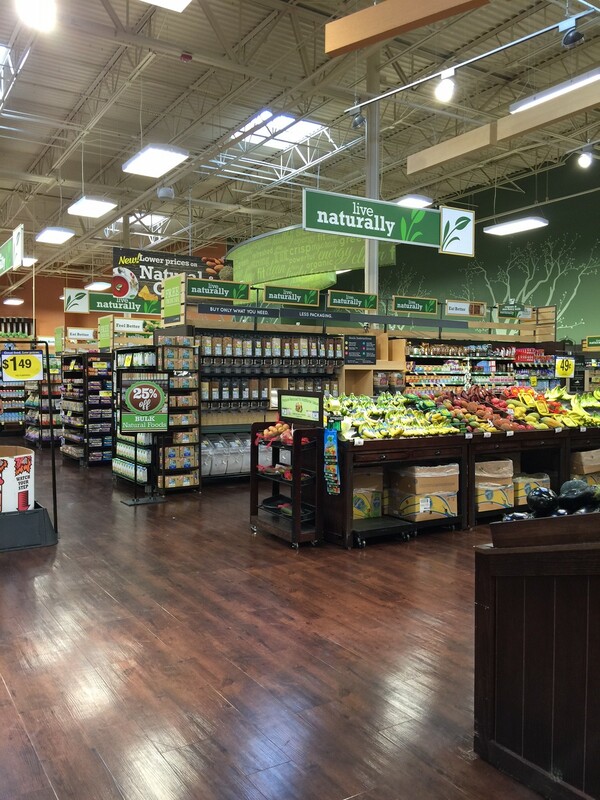 Breakfast can be tough to arrange sometimes, but I can always count on the Natural Foods Section at Kroger for natural and organic options to make my goal of a fresh, nourishing breakfast each morning a reality. As a blogger and freelance writer and photographer, I never know what I’m going to be up to from one day to another. I may be off on a hike, traveling for a nearby review, or stuck at home developing, cooking, and shooting recipes. It’s also possible that I could be on “dad duty”, volunteering at the school or taking kids to appointments. When I’m not doing any of that, I’m likely substituting at the local schools and trying to make ends meet. 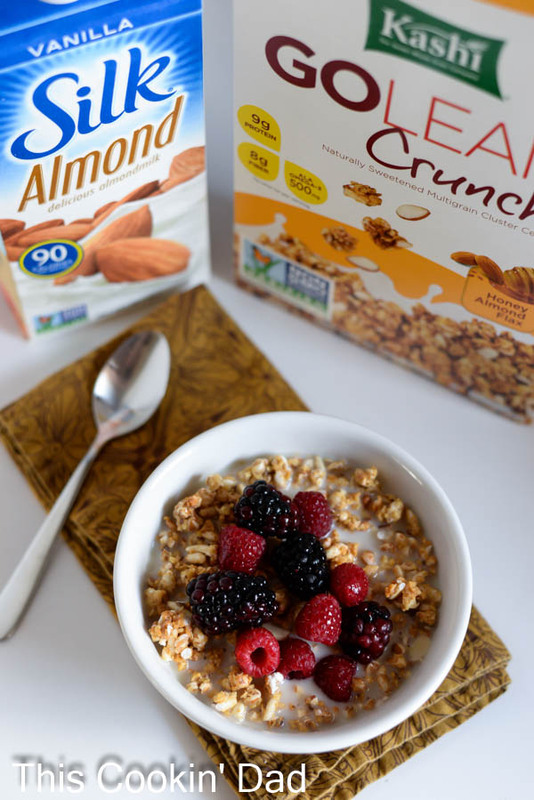 I count on a complete breakfast to get me through the day and it’s hard to find a simpler breakfast than a bowl of Kashi® GOLEAN Crunch!® Honey Almond Flax cereal topped with Silk® Vanilla Almondmilk and fresh berries. The protein and fiber keep me filled up and I get great sweetness from the cereal and milk contrasting with the tartness from the berries. What better way to start the day? When I’m away from the house for the day, I need to carry convenient snack options to keep me from snacking on whatever’s nearby. 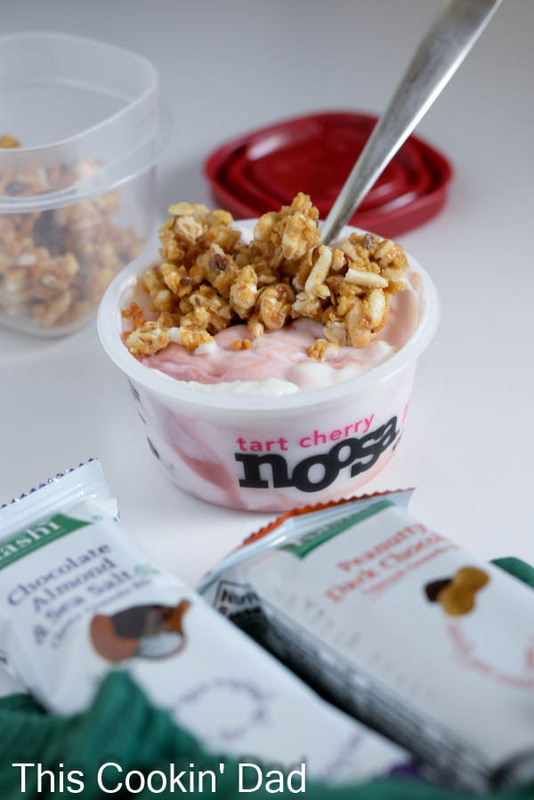 A cup of tart cherry noosa® yogurt topped with some of that Kashi® GOLEAN Crunch!® Honey Almond Flax cereal for a little crunch makes for an easy and tasty break wherever I am. For my afternoon snack, I pack along some Kashi® granola bars. With a day to day schedule that constantly changes, it’s good to know that I can count on a nourishing breakfast and sustaining snacks to fuel my day and that I can always find them in the Natural Foods Section at my local Kroger. And from October 14-October 27, when you use your loyalty card and buy any 3 participating products from the Silk®, Kashi®, or noosa® lines, you can get 1 dozen Simple Truth (Cage-Free) eggs for free! I, for one, will use these eggs for those mornings when I have a little more time. Maybe a veggie-filled omelet or a perfectly over-medium egg. YUM! How do you make your natural breakfast an easy start to your day? Leave a comment and share your tips.